Welcome Manu to the Blender studio! The Blender studio is another talent stronger since Manu Järvinen joined us this week from Helsinki, Finland! 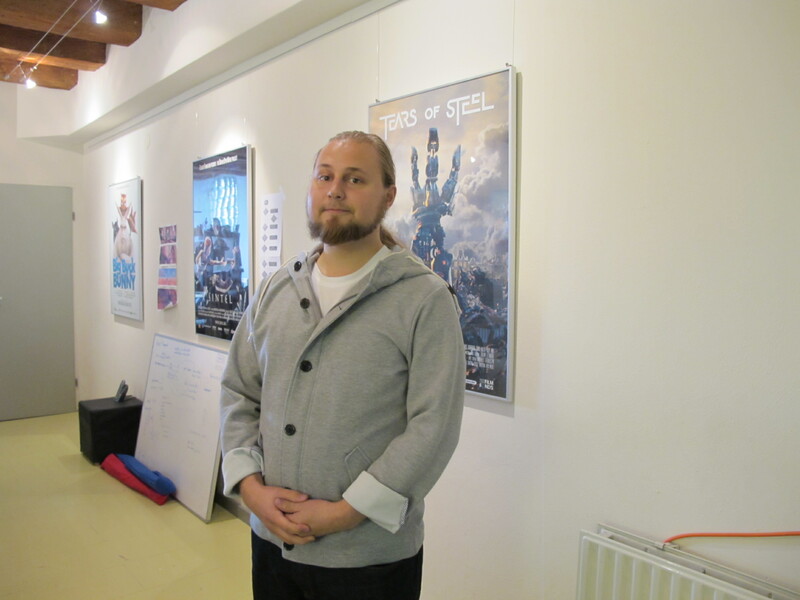 Since studying 3D visualization at Metropolia University of Applied Sciences, Manu has worked with several studios – for the past 4 years entertainment company Rovio. (Yep, the “Angry Birds” people.) 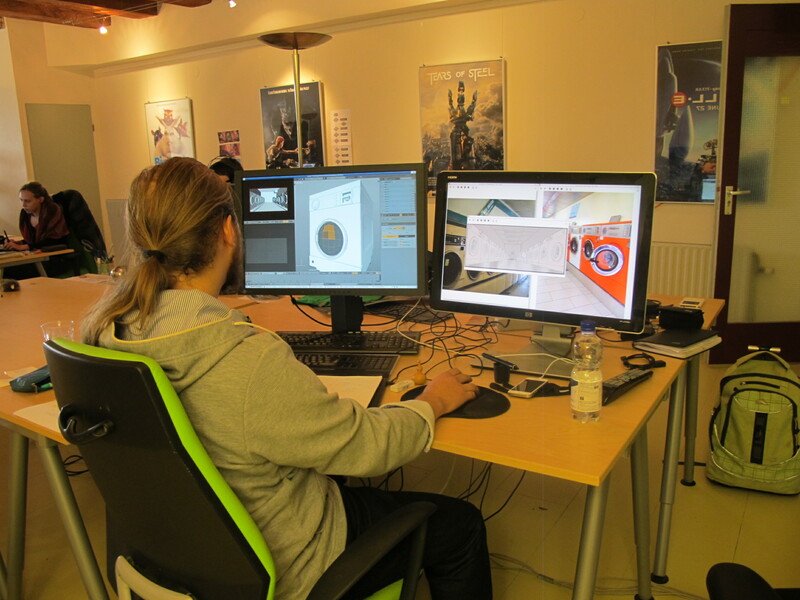 Luckily, they’ve been kind enough to lend him out to Blender for 9 months to work on Project Gooseberry. You can check out Manu’s skills for yourself on his website, which is full of his 3D images and animations. Welcome Manu and have fun! I was thinking that cosmos laundromat would be more mystical ,heavenly,out of this world sort of like door room in monsters inc or world building room in hitchhikers guide to galaxy. But maybe having it just be a regular laundromat creates more impact . So which ever way you guys go is good. Hey, just wondering: what are those desks called like and who makes them? They look pretty awesome. Also great seeing such a talent in the boat, i really look forward to seeing his work. Wow you create amazing things, i was looking at your site. Then i was thinking that not all was CG but some parts where hand painted. However later i found your movies and so similair works, but animated. If you ever have the time for it, i’d love to read about how you achieve that, i’m a painting artist who ‘plays’ a bit with blender, now for 2 years or so. tho seriously – Manu, your work is incredible; great to see you on board for gooseberry! Peter – in Manu’s timelapse ‘Bulldozer Making-of’ linked beneath the bulldozer (2nd image on his site) – at around 19 minutes he finishes materials/shading after which it shows applying that lush magazine-illustration stylistic post-process magic you’re referring to. I suppose applying it to an animation would just involve a lot more node work instead of modifying externally, but I’m just guessing wildly. thats amazing ! gooseberry forever !